The Deluxe Edition is for anyone who wants more of what they saw in Furious Love. While the standard version of the film includes the film (obviously) and the director?s commentary, the Deluxe Edition includes both of those things as well as another 2 DVDs of extra footage, interviews, and more. While filming Furious Love over a two year period, Darren was obviously able to see and hear some amazing things that simply didn?t make it into the final cut. We have tried to put together the best of what Darren was able to film for this collection, and we?re very excited to finally be able to share it with you all. If you liked the movie, then you?re absolutely going to LOVE this edition of the film.
? DVD 1 ? Furious Love film with director?s commentary.
? DVD 2 ? The Making of Furious Love ? A humorous look at Darren and his crew as they travel the world filming Furious Love; The Theology of Furious Love ? A compilation of the Furious Love interviews on the theology of love; A Photographic Journey ? The entire journey of making Furious Love through the best of our photos from around the world. Narrated by Darren Wilson.
? DVD 3 ? From the Cutting Room Floor ? The best stories that didn?t make the cut; The Reality of the Battle ? A compilation of the Furious Love interviews focusing on the reality of the battle raging between good and evil; Bokaro ? Visit the site of the miraculous children?s home in Bokaro, India. 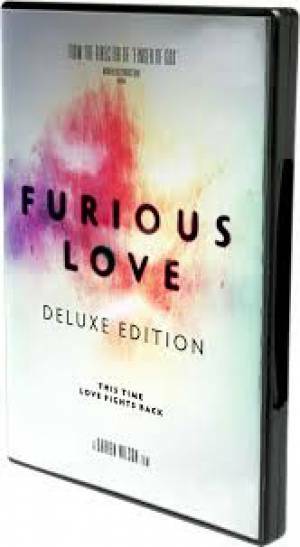 Furious Love Deluxe Edition 3 DVD by Darren Wilson was published by Wanderlust Productions in May 2010 and is our 4423rd best seller. The ISBN for Furious Love Deluxe Edition 3 DVD is 854835003060. Be the first to review Furious Love Deluxe Edition 3 DVD! Got a question? No problem! Just click here to ask us about Furious Love Deluxe Edition 3 DVD.